Summer is almost here and we’re super excited about the new trends and must-have pieces that will be out and about in 2018. This summer is all about super bright colours, really fun pieces and unusual fabrics. From transparent rain macs to Balenciaga’s bold head-to-toe yellow to retro printed turbans and jumpsuits, this season is not for the faint-hearted. Fringing and feathers play a key role, which is perfect for festival fashion. There’s a little bit of an 80s revival with puffball sleeves, cute pastel colours and sequin covered dresses. Designers have really had fun with their summer 2018 collections and it’s great to see these playful pieces out and about. 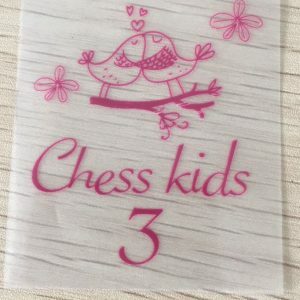 If you’re creating amazing, unique and fun clothes this summer, then our tagless heat transfer clothing labels are a great choice. With a range of colour options available you can make sure your logo and branding really stand out. Our bespoke labels have a great clear print with loads of detail. For a professional, colourful label solution, our great quality tagless label heat transfers are perfect. To apply our Tagless Label heat transfers, you can use a household iron, which is great for smaller designers, especially if you are working from home. Our printed labels give a really professional finish, which is great for designers creating their first collection or trying out new designs. For the best results, we recommend using a heat transfer machine. These specialised machines are great for quick, high-quality labelling in larger quantities and our tagless heat transfer clothing labels are compatible with any machine. You can choose a range of colours for your tagless heat transfer clothing labels, allowing you to be creative with your label design. With fast turnaround times, great prices and flexibility with order quantity, you can trust Perfect Labels Lanyards for the best labels for your amazing summer designs. If you prefer woven labels, please contact us on below email, and send your brand label design to our team. We can help to produce a outstanding woven clothing label for your fashion brand.